Think Like A King is now online...and better than ever!! At school, it's an entire system that addresses all the needs of a chess club, from Teaching to Motivation to Management. 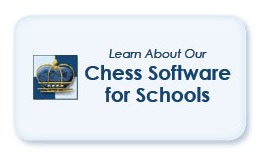 So any school - or school district - can have an expert chess program even without an expert chess teacher. At home, our engaging interactive chess tutorials make learning chess easier and more fun than ever. You'll find everything you need to help your kids become better chess players and better thinkers. It's like having a personal chess tutor on call 24/7. Think Like A King is more than just great software. It's a nationwide project to promote chess as an educational activity that provides the tools to promote successful thinking for a successful life.